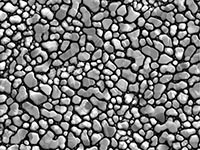 EM-Tec SEM resolution test standards with gold on carbon particles or tin spheres on carbon. 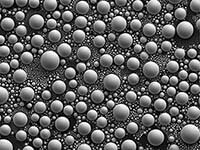 Tin spheres on a carbon substrate. Gold particles on carbon have rich features and provide excellent signal strength for secondary electron (SE) imaging. They are equally suitable for low voltage backscatter electron (BSE) imaging. The nearly perfect round tin spheres have an easy to recognize shape and can be used where gold is not tolerated. 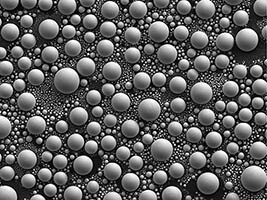 Multiple particle sizes are offered for different imaging applications. The carbon substrates are all 6mm in diameter and 2mm in height. EM-Tec 1 with Au particles ranging from 5-200nm. Ideal for resolution testing on standard SEMs. Use at 15,000x magnification or higher. EM-Tec 2 with Au particles ranging from 30-300nm. This calibration specimen has been developed for low kV and medium magnifications resolution testing. Note the nice twin features on the Au particles. Use at 10,000x magnification or higher. EM-Tec 3 with Au particles ranging from 3-50nm for high resolution testing of SEMs and FESEMs. Use at 50,000x magnification or higher. EM-Tec 4 with Au particles ranging from 2-30nm for ultra-high resolution testing of FESEMs. Use at 100,000x magnification or higher. 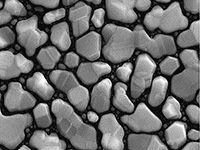 The EM-Tec resolution standards are available unmounted or ready mounted on popular SEM stubs. Select more info at the specific gold on carbon resolution test specimens to see the mounting options. EM-Tec 6 with Sn spheres ranging from 5nm – 30μm. This resolution standard covers a wide magnification range and is also useful for the medium and lower magnification range, starting at around 100x. Also useful at lower kV ranges due to the larger spheres. Start at lower magnification and zoom in on the smaller spheres at (much) higher magnifications. EM-Tec 7 with Sn spheres ranging from 10-100nm. 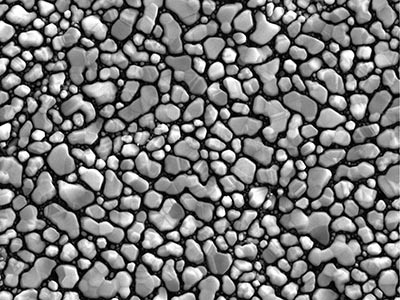 Excellent test specimen for high resolution SEMs and FESEMs with a nice smooth layer of Sn spheres. Use at 30,000x magnification or higher. 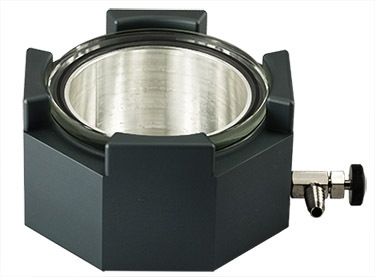 The EM-Tec resolution standards are available unmounted or ready mounted on popular SEM stubs. Select more info at the specific tin on carbon resolution test specimen to see the mounting options. Gold on carbon resolution test standard with gold particles on a carbon substrate. The gold particles size ranges from 5-200nm. The carbon substrate is 6mm diameter with 2mm height. Gold provides excellent SE signal whereas the dark carbon background separates the individual gold particles. 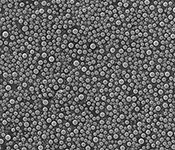 Feature rich gold particles are ideal for resolution testing on standard SEMs. Use with a magnification of 15,000x or higher. Ideally suited to correct distortion, astigmatism and image shift and to adjust for correct focus, beam size, contrast and brightness. This resolution standard has a square mesh grid pattern to facilitate locating and positioning. Full list of available specimen mounts for calibration standard and test specimens. Gold on carbon resolution test standard with larger gold particles on a carbon substrate. The gold particles size ranges from 30-300nm. The carbon substrate is 6mm diameter with 2mm height. The larger gold particles provide excellent SE signal whereas the dark carbon background separates the individual gold particles. The feature rich larger gold particles are ideal for low kV and medium maginfication range. Use with a magnification of 10,000x or higher. Ideally suited to correct distortion, astigmatism and image shift and to adjust for correct focus, beam size, contrast and brightness. This resolution standard has a square mesh grid pattern to facilitate locating and positioning. Gold on carbon resolution test standard with fine gold particles on a carbon substrate. The gold particles size ranges from 3-50nm. The carbon substrate is 6mm diameter with 2mm height. The fine gold provides excellent SE signal whereas the dark carbon background separates the individual gold particles. 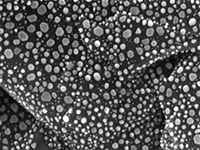 The finer gold particles are ideal for high resolution testing on standard SEMs and FESEMs. Use with a magnification of 50,000x or higher. Ideally suited to astigmatism and image shift and to adjust for correct focus, beam size, contrast and brightness for high resolution imaging. This resolution standard has a square mesh grid pattern to facilitate locating and positioning. Gold on carbon resolution test standard with finer gold particles on a carbon substrate. The gold particles size ranges from 2-30nm. The carbon substrate is 6mm diameter with 2mm height. The finer gold provides excellent SE signal whereas the dark carbon background separates the individual gold particles. The finer gold particles are ideal for ultra high resolution testing on FESEMs. Use with a magnification of 100,000x or higher. Ideally suited to correct astigmatism and image shift and to adjust for correct focus, beam size, contrast and brightness for ultra high resolution imaging. This resolution standard has a square mesh grid pattern to facilitate locating and positioning. Ordering Information for EM-Tec tin on carbon resolution standards. Tin on carbon resolution test specimen with tin spheres on carbon substrate. The tin sphere size range is 5nm – 30um. Carbon substrate size is 6mm diameter with 2mm height. Due to the large range of sphere sizes this test specimen is ideally suited for a wide range of magnifications and operating voltage. Can be used from low magnifications as low as 100x and zoom in on the smaller spheres for higher magnifications. The nearly perfect round spheres make it easy to Ideal for for resolution testing on standard SEMs. Use at 15,000x magnification or higher. Easy to use resolution specimen for standard SEMs, table top SEMs and training purposes. Excellent tool to test performance and optimize your SEM after a filament change. 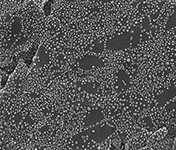 Tin on carbon resolution test specimen with tin spheres on a carbon substrate The tin sphere size range is 10-100nm. Carbon substrate size is 6mm diameter with 2mm height. The nearly perfect round spheres make it easy to correct distortion, astigmatism and image shift and to adjust for correct contrast and brightness. This resolution standard has a relative smooth layer and is intended for use at higher magnifications; 30,000x and higher on standard SEMs and FESEMs. This resolution standard has a square mesh grid pattern to facilitate locating and positioning.